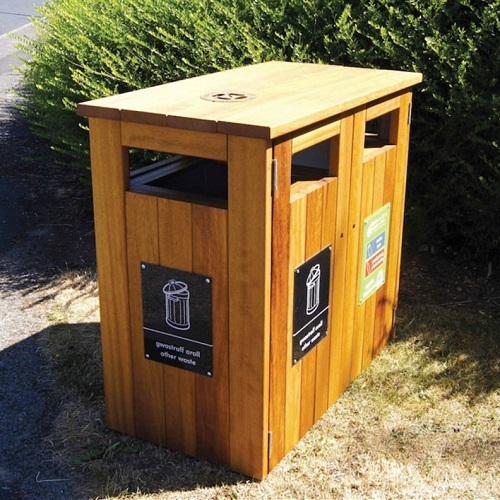 Based on our Iroko Hardwood litter bin, the Double Iroko Hardwood bin allows for twice the amount of waste to be collected while retaining the attractive appearance of the smaller unit. 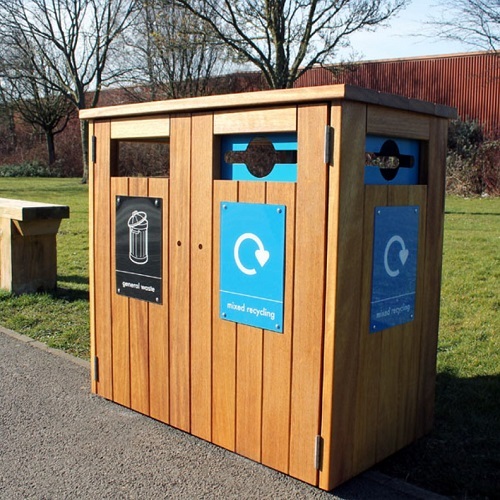 The attractive, premium appearance and the natural finish of the bin allow it to blend in with rural surroundings, making it ideal for parks and green spaces. The unit is constructed using a galvanised steel carcass which is clad in African Iroko hardwood. 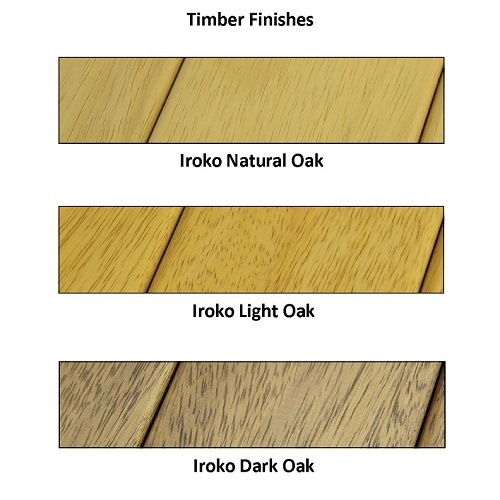 Iroko is used as it is incredibly stain resistant, tough, durable and hard wearing. 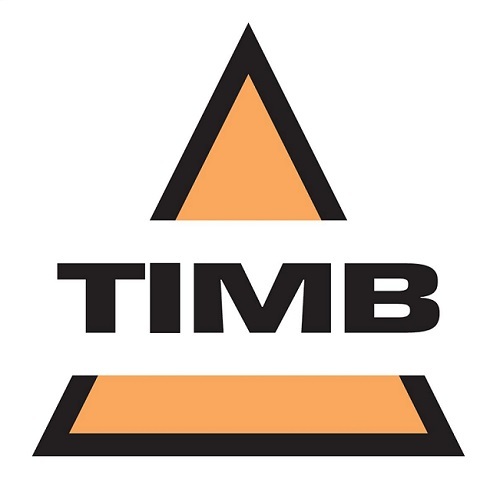 A choice of three timber finishes is available, natural, light oak or dark oak. However, please note that wood is a natural product and will require routine maintenance, typically after one year’s service. 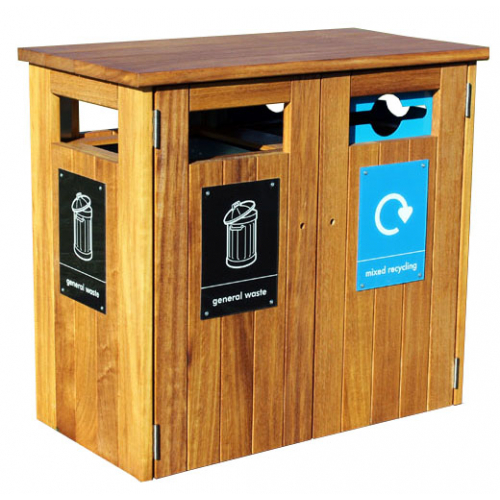 The bin features two front opening, hinged lockable doors and is supplied with a T key and two galvanised steel liners. 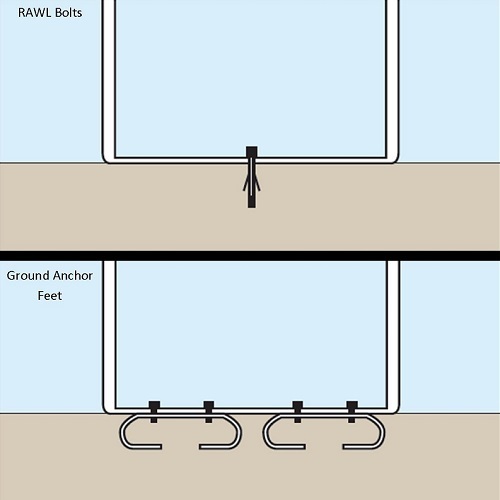 The hinge system is a full length pivoted steel rod and is very reliable even after thousands of openings and closures. 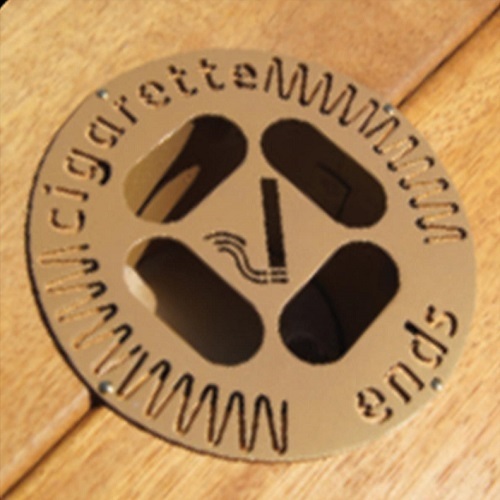 An optional circular Easyfit ashtray is available. The ashtray is factory fitted and features a spring-loaded butterfly bottom for quick emptying into the liner below. Please note the bin shown in the image was built to a customer’s specific requirements and includes Perspex artwork plates and special apertures. If you require something similar, please call us to discuss.